My Dad always makes amazing falafels, but until this weekend I had never made any myself. I absolutely love chickpeas, so anything that they feature in is always a winner in my eyes. I found this super easy recipe on BBC Good Food and decided to give them a whirl for a healthy evening meal. 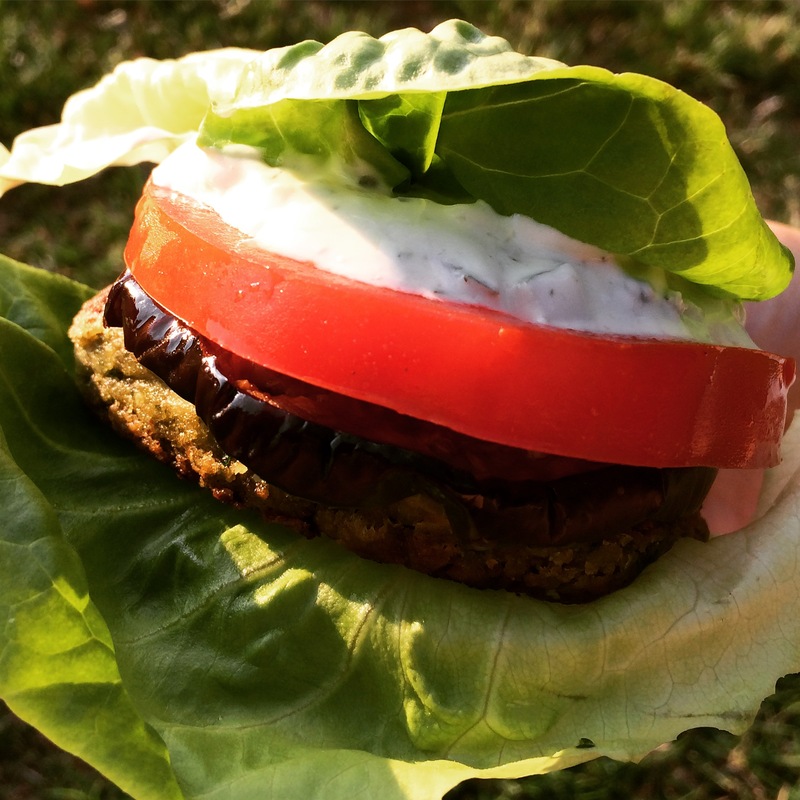 These are so easy to throw together and you can tuck into a delicious guilt-free burger in no time at all! Start to finish, it only took me 15 minutes to make the entire meal. All you need to do is pop all of the ingredients except for the oil into a blender. I like to go heavy on the parsley to make sure that they are really full of flavour and go that lovely green colour. Whizz it all up until you get a lovely chickpea paste to mould into patties. Divide the mixture evenly into four patties, heat the oil in a pan and fry them for three minutes each side. Once they’re done, lift them out of the pan and pop them on some kitchen towel to absorb any excess oil. 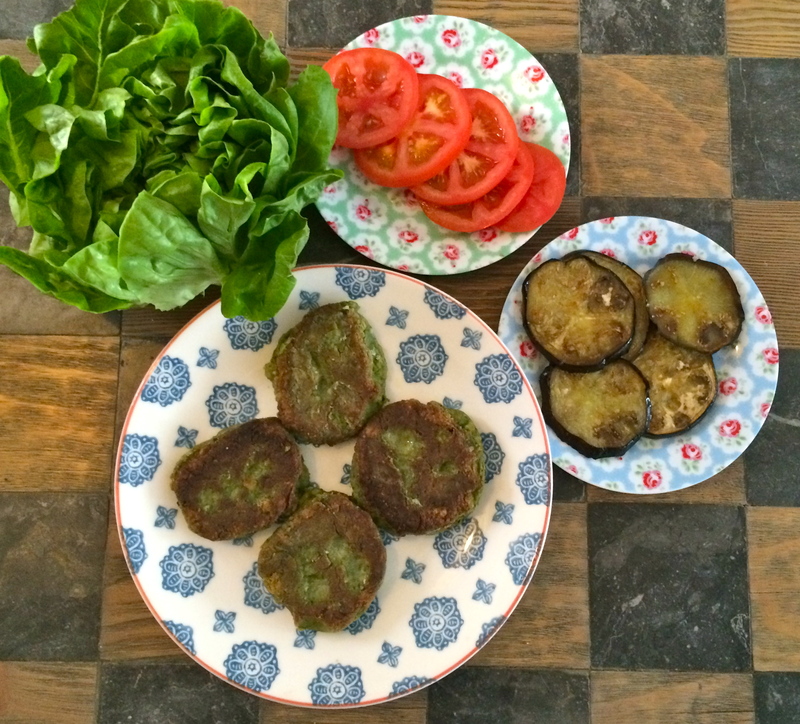 I served my falafels in a lettuce wrap with some grilled aubergine, sliced tomato and tzaziki. Load it up and tuck in!